MAGNOLIA, Ark. 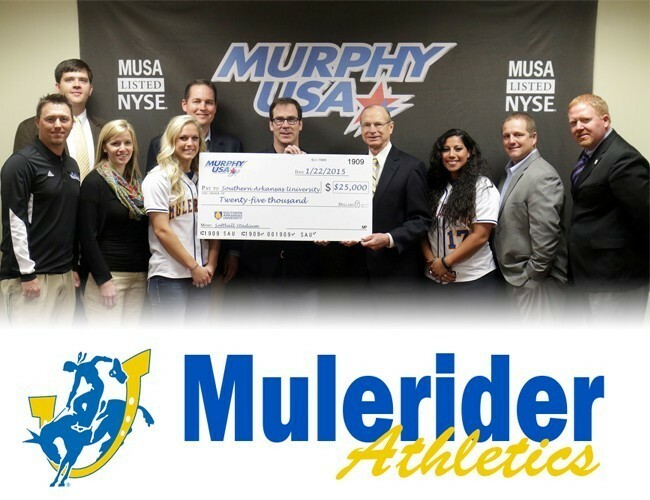 – The Southern Arkansas University Mulerider softball team is one step closer to a new field house after a $25,000 gift from Murphy USA of El Dorado. The contribution will help fuel momentum for a $1 million construction project that will begin later this year. Over the past few years, the University has worked to improve its softball facilities, moving the team from a city-owned park to an on-campus field with modern batting cages. The next phase will see the construction of a locker room, coaches’ offices, a concession stand, public restrooms, and press box. With a workforce that is 60 percent female, Murphy USA president and CEO Andrew Clyde said investing in organizations that help women succeed was important. He said the partnership between Murphy USA and Mulerider softball was a natural fit. The Mulerider softball team ended its 2014 campaign with the program’s first-ever conference tournament championship and appearance in the NCAA regional tournament. The 2015 team was recently picked to finish second in the Great American Conference by the league’s coaches. 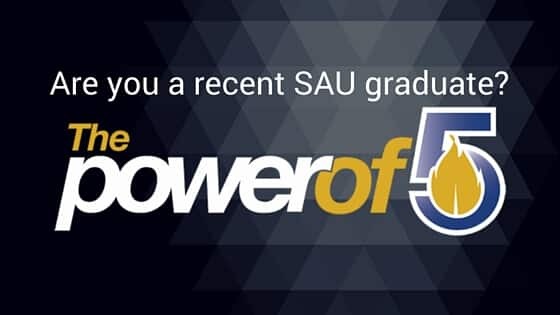 Although construction is already planned to begin later this year on the softball field house, the SAU Office of Development has opportunities available for additional private partnerships. For more information about being involved in the Mulerider Softball campaign, contact Jeremy Langley, assistant director of development, at (870) 235-5375 or jeremylangley@saumag.edu.